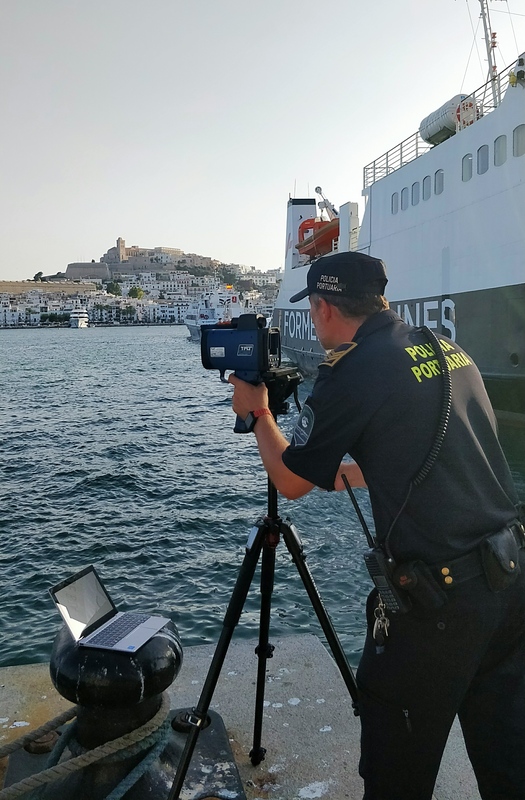 The Port Authority of the Balearic Islands (APB) is installing mobile speed detectors in the ports of Ibiza and La Savina to regulate and control the maximum sailing speeds in the waters at these two ports of general interest. The measure was implemented this week and will be tested until mid-October. Checks are being carried out by Port Police officers on a random basis. The Ibiza and Formentera ports are the first to implement this mobile speed control system, although the APB plans to extend it to the rest of the ports it manages. Once the trial period is over, the Port Police will proceed to report any potential offenders in line with this speed control method using mobile radars. The APB has reminded both the shipping companies and nautical facilities at the ports of Ibiza and La Savina of the fact that there are port ordinances in force establishing the regulation of maximum sailing speeds in the waters of both ports and has also provided them with the areas for their application. The aim of these port ordinances is to regulate the maximum sailing speeds of ships and vessels at ports. The Port of Ibiza has two areas of application: the Botafoc dock and the Interior dock. In the Botafoc dock area, the maximum speed for any type of ship or vessel is set at eight knots or steerageway speed, while in the interior dock, the maximum speed is six knots or steerageway speed. In the port of La Savina, the ordinance also establishes two areas of application; however, in this case a distinction is made between the internal water area (zone I) and the external water area (zone II). In Zone I, the maximum sailing speed for any type of ship or vessel is set at six knots or steerageway speed. While in zone II, the maximum speed is fifteen knots, which will need to be gradually reduced in approach courses until reaching a maximum of six knots or steerageway speed, when approaching the entrance of the port.